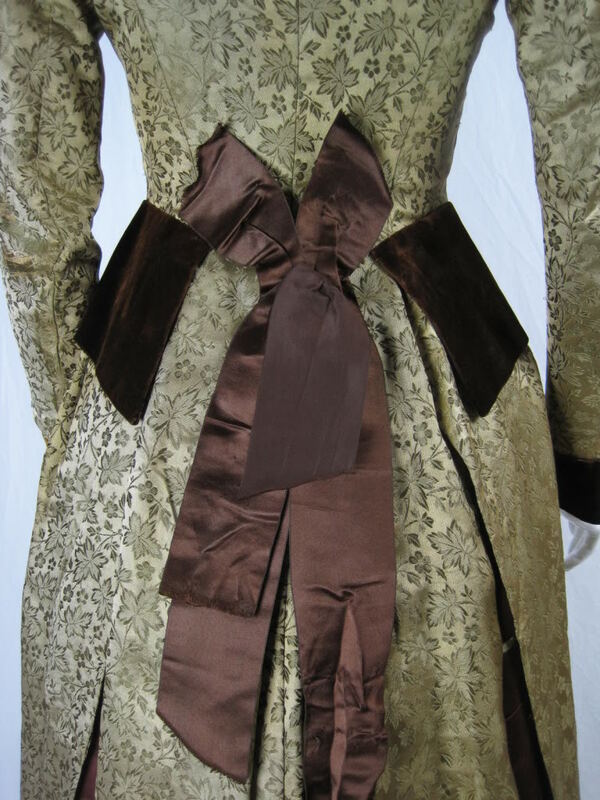 Polonaise bodice and skirt circa 1875. 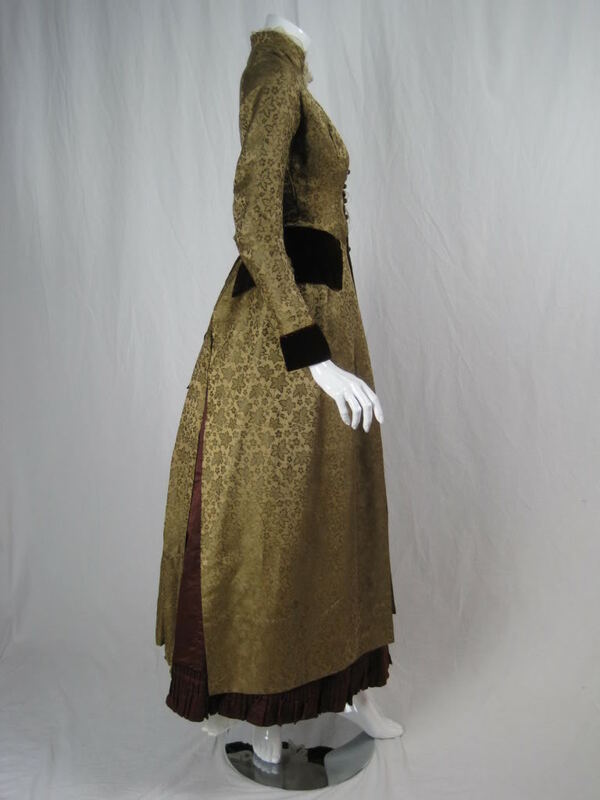 Dark gold jacquard brocade polonaise with warm brown velvet trim at cuffs and waist. Center back bow. 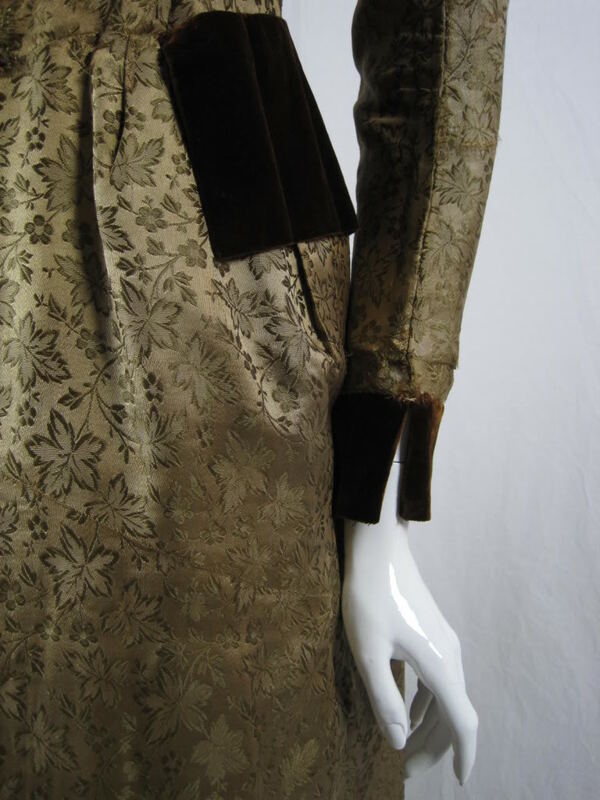 Leaf pattern silk brocade. Full skirt made of chestnut-colored silk satin has center back closure and rows of vertical pleating at hem. Both pieces are lined. 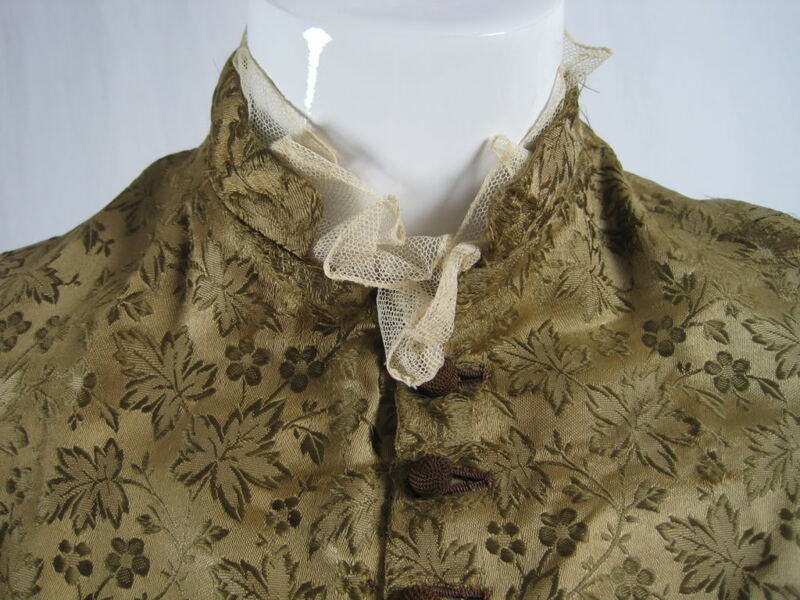 VINTAGE CONDITION: Fair with fraying on bodice at center front, sleeves, etc. Some staining on skirt, although most is covered by polonaise. Further photographs available upon request. 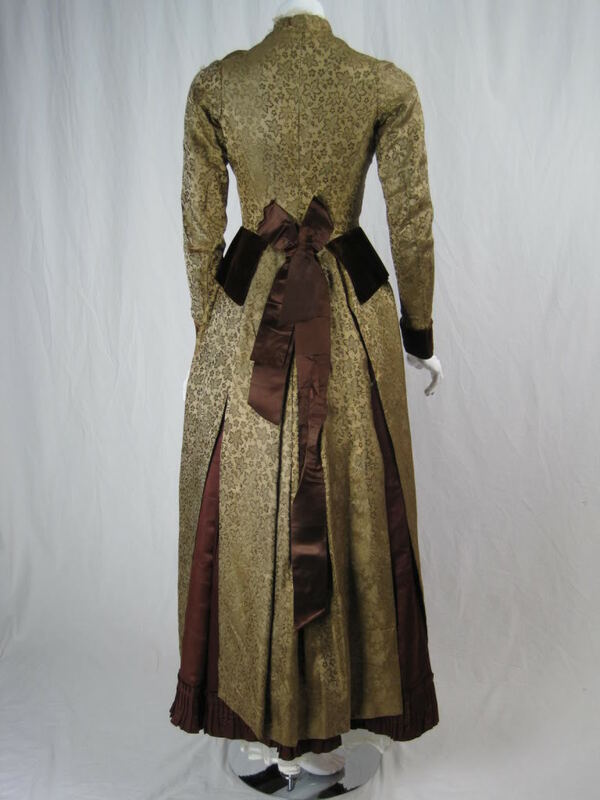 This is probably from about 1877- when the bustle went out of fashion for a couple of years.